A man in Alabama was recently bitten by a coral snake and is now “fighting for his life”. The man mistook the extremely venomous coral snake for a harmless king snake. The man was rushed to the intensive care unit Anderson Hospital in Mississippi and antivenom had to be flown in. You homes insulation is not something you think about often if even at all. If you’ve had any animal in your attic, than you also have their urine, droppings, and the parasites they carry. Your attics insulation may also be significantly compacted depending on the animal species and length of time they lived in your attic. These serious issues should be addressed as soon as possible to prevent potentially serious health concerns and dramatically increased monthly utility costs. If you’re having a rat problem, your first thought might be to use rat poison. 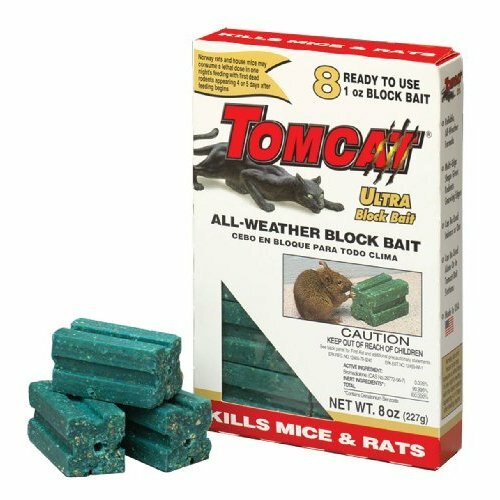 Unfortunately, poisoning rats is the least effective and most problematic rat control method. Using rat poison to solve a rat problem is like using duct tape to patch a leaky pipe. In almost all cases, it will cost you far less to have the rats trapped and the entry points permanently sealed than the potential long term costs of using poison. So what problems can you expect to have if you decide to use rat poison? 1. Poison Doesn’t Stop Rats From Coming In! Rat poison doesn’t stop rats from coming into your home or office, it only kills the rats that eat it. If the structure is not properly sealed, new rats will quickly take the place of the old ones and you will have to continue to use more poison. The only way to permanently stop rats from getting in is by installing quality exclusion barriers. Visit our exclusion barriers page to learn more. 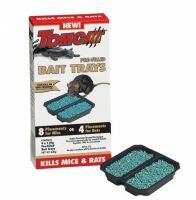 I know this seems like a “no brainer”, but dead rats smell! They smell really bad! That’s not something many people think about when they choose to use rat poison. If you use rat poison, you have to realize the rats will most likely die inside your home or office. Don’t be fooled by claims that “the rats will go outside in search of water”, or “if they die in your attic, you won’t smell anything”. We receive hundreds of calls every year from homeowners who have “a smell” coming from their attic, crawlspace, or even a wall. More often than not, recently used rat poison is to blame. Non-target poisoning is basically anything other than a rat that eats the poison. When poison is used, there is always a chance that another animal may find and eat the poison and die. Depending on the type of poison and where it is used, dogs, cats, and even children can come in contact with the poison. Most states now require the use of tamper resistant rodent boxes designed to help prevent accidental poison of children and pets. Unfortunately, no law is without flaws, and often these laws are just plain ignored. When should rat poison be used? In most cases, rat poison is best suited for large warehouse and commercial buildings, where due to their sheer size and/or construction, exclusion barriers are not cost effective. Since it is not likely children will be playing around this type of facility, non-target poisoning is not a major concern. Smells are not a problem either because the rats are poisoned outside and away from people. We have yet to come across a home where the best option for rat control is poison. Safety is our biggest concern which is why we never use poisons in or around a home. With the proper experience, just about any structure can be sealed to permanently keep rats out without using poison. Due to the significant health risks, rat poison should only be used by licensed professionals. Rat poison should always be used in conjunction with properly secured tamper resistant rodent boxes. Tamper resistant rodent boxes reduce the risk of accidental poisoning of adults, children, and pets. If you have a rat problem, don’t use poison! Click here or call Premier Wildlife Services today for a free inspection and estimate for a permanent rat control solution. I have some great news for those who have been living with bats in your attic during the annual bat exclusion “closed season”. The closed season, which began April 16th, will officially end August 14th. I am very excited that we can finally help those customers who have been patiently waiting for the “season” to open and get the bats out of their attic for good! Tropical Storm Debby is responsible for more than just rising water levels. The heavy rains Debby dropped on Central Florida are forcing critters all over to search for higher ground. Over the past few days, we have seen a significant increase in calls about raccoons, opossums, and even rodents getting into people’s homes and attics. Displaced wildlife can be seen during unusual hours of the day, and also be seen in unusual places. Is you seen an animal in your yard, it’s best to call a professional wildlife removal company. It can be difficult to tell if an animal is wandering around due to the excessive rain, or if they have been exposed to rabies. The future of Florida’s largest native land mammal will be on the table Wednesday as the state wildlife commission votes whether to remove the Florida black bear from the state’s list of threatened species. The Florida Fish and Wildlife Conservation Commission, a seven-member board appointed by the governor, will conduct its two-day meeting in Palm Beach Gardens, with the controversial question of the bear scheduled for the first day.